If it’s light out or not, you can expect to see us there. It’s also where we claimed the 2012 Island Team Challenge Danley Cup! It’s recommended that you either park your vehicle on the north side of the parking lot, or closer to the Gazebo on the south side. 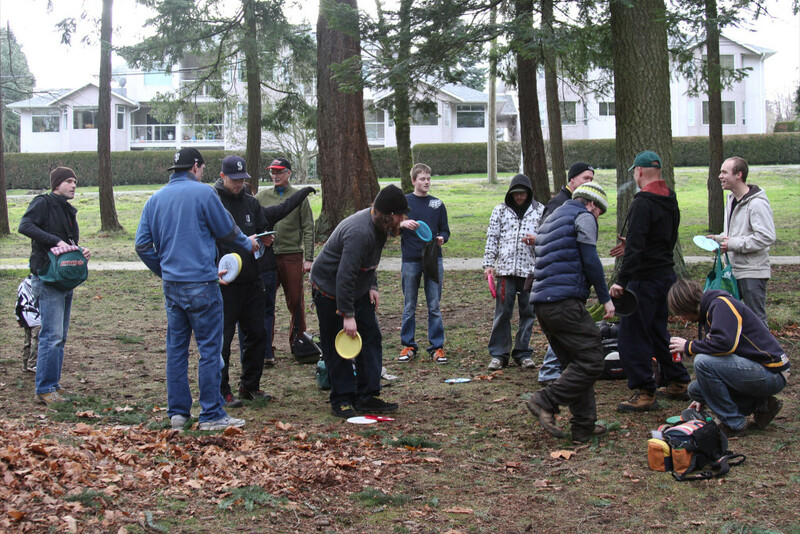 Discs tend to gravitate toward shiny objects. The first hole is on the opposite side of the park, closest to Bowen Road. You’ll see a large sign that has the course map by the first tee pad. There are 18 holes with standard (blue/short) and alternate (white/long) tee pads. All tee pads are clearly marked. 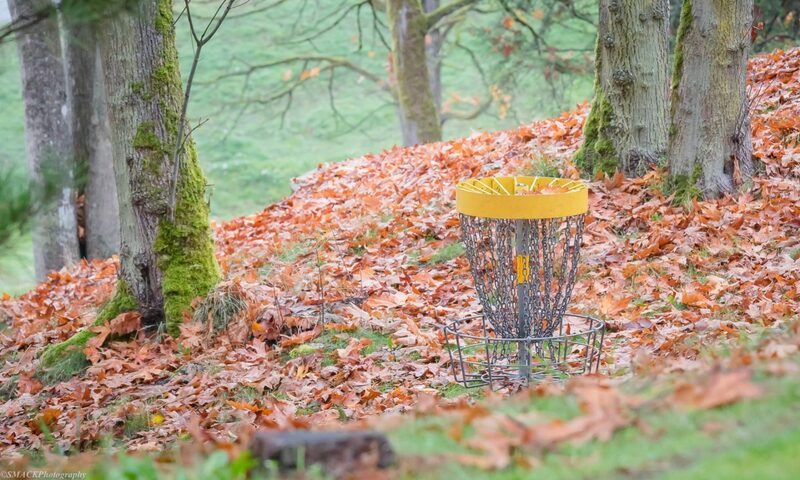 Some baskets have alternate pin locations, and change based on the season and for events. There are water taps located by the upper gazebo, between the tennis courts, by the volleyball pits, and by the horseshoe pits – remember stay hydrated on those hot summer day! Washrooms are available at the main complex near hole #4, and off the back of hole #9 in the white building. The upper gazebo is located across from the pool by the main entrance, and another is opposite the washrooms off hole #9, just down the hill. If you would like to use one for an event, be sure to check with the park authorities to ensure that they’re not already reserved. Garbage cans are located on holes #1, #4, #5, and #10. PLEASE KEEP THE COURSE CLEAN!